Last week, we wrote about employer best practices with respect to responding to possible employee medical issues. A recent case out of the Eighth Circuit showcases one employer’s creative approach to thinking about possible future medical issues. BNSF Railway Company, based in Nebraska, reportedly has had a policy of not hiring any applicant for a safety sensitive position if the applicant has a Body Mass Index (BMI) of 40 or higher. 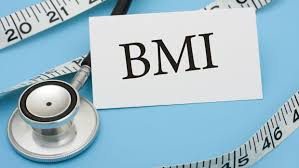 According to the Centers for Disease Control and Prevention, a person with a BMI of 30 or higher is considered obese. In the recent Eighth Circuit case, Plaintiff Melvin Morriss alleged that he applied for a machinist position with BNSF and received an offer of employment contingent on a satisfactory medical review. At the time of Morriss’ medical review, he was found to have a BMI of 40.9. BNSF allegedly revoked Morriss’ conditional job offer pursuant to its BMI policy, notifying Morriss that he was “not currently qualified for the safety sensitive Machinist position due to significant health and safety risks associated with Class 3 obesity ([BMI] of 40 or greater).” Morriss sued BNSF for disability discrimination, alleging that his obesity was an actual disability under the federal Americans with Disabilities Act (ADA) and that BNSF also unlawfully regarded him as disabled. The Eighth Circuit Court of Appeals (which has jurisdiction over appeals from federal district courts in Minnesota, North Dakota, South Dakota, Nebraska, Iowa, Missouri, and Arkansas) rejected Morriss’ claims. The Court found that, taken as a whole, the ADA and accompanying regulations make clear that, for obesity to qualify as a disability, the obesity must result from an underlying physiological disorder or condition and the person’s weight must fall outside the normal range. Morriss, however, had not provided any evidence that his alleged obesity was the result of a physiological disorder. The court further found that BNSF had not impermissibly perceived Morriss as disabled. Rather, while the ADA prohibits employment discrimination “on the basis of a presently existing ‘physical impairment,’. . .the ADA does not prohibit an employer from acting on some other basis, i.e., on its assessment that although no physical impairment currently exists, there is an unacceptable risk of a future physical impairment.” (emphasis added). Of further note, the Eighth Circuit criticized the EEOC’s ADA Compliance Manual as inconsistent with applicable law. In the Compliance Manual, the EEOC takes the position that while “normal deviations in weight that are not the result of a physiological disorder are not impairments[,] . . . [a]t extremes, . . . such deviations may constitute impairments.” The Manual further states that “severe obesity” reflected by a “body weight more than 100% over the norm” is an impairment. The court called out these EEOC pronouncements as “directly contradict[ed] by the plain language of the Act, as well as the EEOC’s own regulations and interpretive guidance,” which all define physical impairment to require an underlying physiological disorder or condition. The BSNF case represents a victory for employers and brings the Eighth Circuit in line with the Second and Sixth Circuits, which had previously made similar rulings that obesity alone is insufficient to qualify as an ADA disability. Despite this victory, however, the BSNF case demonstrates that weight-based policies and decisions can be unpopular and may draw litigation, which can be expensive even when an employer wins. Accordingly, an employer would be well-served to consult with legal counsel when considering any weight-based employment policy or decision.